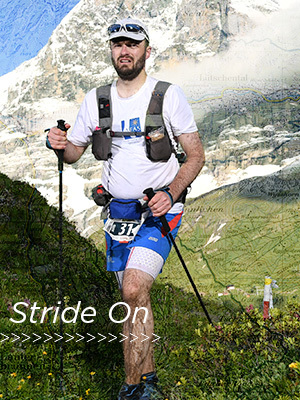 Dr. Jared Kern completed the grueling Eiger Ultra Trail race this summer in 22 hours and 21 minutes. The E101 race is 101 km or 63 miles long with 6,700 meters or 21,300 feet of elevation gain and 6,700 meters or 21,300 feet of descent. The E101 course starts in Grosse Scheidegg with staging locations in the Faulhorn Mountains and traverses along the base of the Eiger North Face in Switzerland. All E101 trail competitors must use the partial self-support principle. This means that in between the check-points, each competitor must be able to care for themselves and carry all their supplies such as food, drink and mandatory gear.